Monsanto announced Wednesday it would be eliminating 2,600 jobs — about 11.8% of the company’s entire employee base — and implementing restructuring to aid in cost-cutting. The leading agriculture company Wednesday reported sales in Q4 falling from $2.6 billion to $2.4 billion. Core products for the company — corn seeds and traits — dipped to $598 million, down $32 million. Agricultural productivity sector sales (including Roundup herbicide) hit $1.1 billion, down from $1.25 billion. 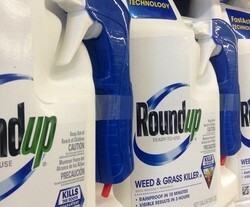 Roundup has received severe scrutiny, including from California’s EPA and the World Health Organization. © 2019 Organic West Milk, Inc.